SkyLite Systems is an award winning Microsoft Partner changing great ideas into reality with Office 365, SharePoint, PowerApps, Flow, and Power BI. Founded in 1962, North State Grocery Inc. is a large grocery store organization operating two separate chains—the Sav-Mor and Holiday Market brands—with 19 stores in multiple counties throughout northern California. Headquartered in Cottonwood, CA, North State Grocery has more than 750 full-time employees. For years, the company sought to integrate and support its diverse stores’ customer service operations using Salesforce CRM with a centralized staff and a small regional IT department responsible for both chains. When North State Grocery wanted to further integrate and optimize its approach, it encountered significant cost and implementation barriers. Connecting its numerous stores, store departments, and headquarters required the addition and training of numerous users to enable their access to a central database for collaborative ticket resolution. North State Grocery turned to Microsoft partner SkyLite Systems to help them find a way to leverage their existing Microsoft cloud investments in Office 365. In order to effectively transform company-wide workflows, operating efficiency, and cost-reduction, the grocery chain found success using Microsoft Flow. Grocery store operations are competitive, margin-sensitive, and highly dependent upon customer experience for their success. North State Grocery operates not one, but two separate chains serving distinct clientele in numerous locations throughout northern California. The grocery chains rely heavily on strong customer service to attract and retain loyal customers—in the store, at the point of purchase, and via email, telecommunications, and social media. For North State Grocery, that means connecting the right people with the right information to expedite and resolve issues—from financial transactions to specific areas in the grocery stores such as meat, produce, bakery, and wine/spirit service. Unfortunately, facilitating the necessary access and flow of information throughout the organization presented challenges with the existing solution. North State Grocery needed a new, manageable way to notify and engage a growing number of specific store, department, and headquarters personnel for resolution. Expanding the Salesforce CRM platform was simply not an option. Even a limited expansion of core users between the two brands presented the company with an estimated tens of thousands of dollars in unplanned costs. And available workarounds, such as separate email notifications and resolutions, were increasingly untenable. Despite previous ad hoc success, the accruing, far-flung threads and data already exceeded volumes of seven terabytes. Managing storage, curating records, and tracking and analyzing data required a different approach, especially in the face of burgeoning volumes that included long-outdated files. Fortunately, North State Grocery had already laid the foundation for a strategic, forward path. 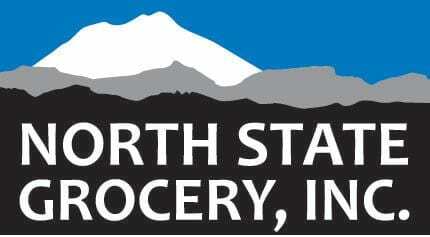 North State Grocery’s investment in Microsoft technologies—including Office 365, Exchange Online, and SharePoint Online—gave it an integrated platform for a new and proven approach to meeting its most pressing business and technology challenges. Faced with the prohibitive budget and resource constraints and the need for a custom-tailored solution, North State Grocery decided to harness the inherent capabilities of the Microsoft solutions it already used. The company turned to SkyLite Systems, a trusted Microsoft partner providing a full portfolio of specialized solutions with Microsoft Office 365, SharePoint, Power Apps, Power BI, and Flow for economical, agile, easily-implemented business impact. Microsoft Flow is a cloud-based software tool that enables creation and automation of workflows—flows—across multiple applications and services without the need for developer assistance. It can be managed by a desktop or mobile app and integrates with numerous Microsoft technologies including Office 365, PowerApps, Dynamics 365, and others. For example, in addition to triggering notifications, automated workflows can help to instantly post new files to SharePoint and collect data. Based on an initial inquiry and assessment, SkyLite quickly determined that, by using Microsoft Flow and Office 365, it could help the company leverage its existing Microsoft investments to rapidly deploy a customized, unlimited, organization-wide solution. “We bring together solutions, so the customer can leverage what they’ve already purchased and solve their business problems,” said Dave Chennault, Partner at SkyLite Systems. SkyLite’s customized solution allowed North State Grocery to do precisely that. SharePoint-enabled consolidation and optimization. Using SharePoint as a central, shared, accessible repository for managing case files for both its Sav Mor and Holiday Market chain operations enables users throughout the organization to efficiently access the records they need, when they need them, for a single version of the truth from virtually any location. Outlook and Exchange-based notifications. Flow further incorporates automatic email notifications for alerts and updates using existing Microsoft Outlook and Exchange functionalities, making it easier to target, contact, engage, and inform key stakeholders for more efficient, expedited resolutions. Office 365 support. Office 365 also lets diverse stakeholders use the tools they already work with to communicate, collaborate, and consume information as part of the new solution—including Excel, Word, Outlook, and Skype. PowerApps: This solution uses an integrated PowerApps form with a Modern SharePoint list and 11 Flows. In addition to the clear substantial cost savings, Flow further enabled SkyLite Systems to successfully design, develop, test, deploy, and train North State Grocery users in fewer than four weeks. Flow’s integrated, easily-managed capabilities enabled a proven ready-to-use solution based on familiar, intuitive tools already actively known and in use. SkyLite was able to build the custom solution in only three days, delivering value to the customer quickly. After the initial build, the customization, configuration, testing, and deployment of SkyLite’s proprietary solution took a matter of weeks. Using SkyLite Systems’ approach to Flow-enabled integration, North State Grocery rapidly implemented a successful, consolidated solution in a way that measurably reduces its cost, increases its efficiency, elevates its insight, and lays the foundation for its planned strategic growth. “We knew that cloud technology was essential to our future success as a company and that our Microsoft investment gave us the capabilities and tools to transform our operations,” said Steve Kasper, Director of IT at North State Grocery. Cost reduction and optimization. By harnessing its new Microsoft-based solution, North State Grocery can now realize virtually unlimited access to its customer service solution—all for a one-time, flat rate cost equivalent to its previous annual licensing cost for four customer service users. In addition to the dramatic ROI, the company benefits from additional TCO and TCA reductions that include: elimination of redundant CRM systems; improved manageability, maintenance, and storage optimization; and process efficiency over the long-term based on greater realization of value from their existing Microsoft investment. Increased operational efficiency. A consolidated, centralized SharePoint resource now facilitates virtually unlimited access across the organization to the singular, specific files necessary for efficient case resolution. Automated alerts and notifications are further allowing key stakeholders for each chain and store to work easily from a common operation picture without unnecessary searching, tracking, or duplicate efforts. Improved insight. With the move towards their new SharePoint and Flow-based system, North State Grocery can more effectively curate and extract valuable data from its records, with the ability to monitor and track results for granular analysis and reporting. Improved customer service. By harnessing and empowering the company’s stakeholders to efficiently support customer ticket and issue resolution, both Sav Mor and Holiday Market can more quickly address customer complaints, requests, and supporting actions (new products, new sources, and pricing) for their respective stores and customers. Platform for the future. As a result of its transformation, North State Grocery is positioned to use its growing capabilities and resources to pursue strategic customer service opportunities and continuing enterprise benefit. “What we could not anticipate were the immediate and substantial ways in which Microsoft Flow might enable us to realize instant, and all-important benefits for our customers, profitability, and competitive edge … it just made everything possible,” said Kasper. What we could not anticipate were the immediate and substantial ways in which Microsoft Flow might enable us to realize instant, and all-important benefits for our customers, profitability, and competitive edge … it just made everything possible."